One of the ‘big name’ releases at this year’s Essen show was the much anticipated Season 2 of Pandemic Legacy. Season 1 of Pandemic Legacy has been the #1 rated boardgame on Boardgamegeek for some time now, so this new game has caused much excitement in the boardgame community. Whilst I am very curious about Pandemic Legacy, I must admit to being a little reticent to purchase a game that has a built-in limited shelf life. If you are unaware, the whole basis of Pandemic Legacy is that players have a limited number of plays the game over the space of an in-game year, with the potential of playing a maximum of twice in each month, therefore the game has a finite number of plays – between 12 and 24. Why the finite number? This is because as the game progresses, events occur that permanently change the game – anything from amending game components by placing stickers to removing components permanetly – this is what ‘legacy’ means in boardgame terms, and this mechanic has been adopted by several games. Whilst this game is the very essence of what you might term a ‘campaign’ game, the thought of making permanent changes to the game grates somewhat my OCD. Also, the fact that the game only has a limited number of plays seems to go against the ethos of having a boardgame that you can grab off the shelf at any point. Admittedly, by the time you have played the game 12-24 times, you have more than got your entertainment value from the game, so this is perhaps a minor point. Have you played Pandemic Legacy? Is the gaming experience worth the ultimate destruction of the game? Let me know in the comments. Thunderbirds, Reign of Cthulhu and Forbidden Island all have similar mechanics to the original Pandemic game, so scratch a similar itch. 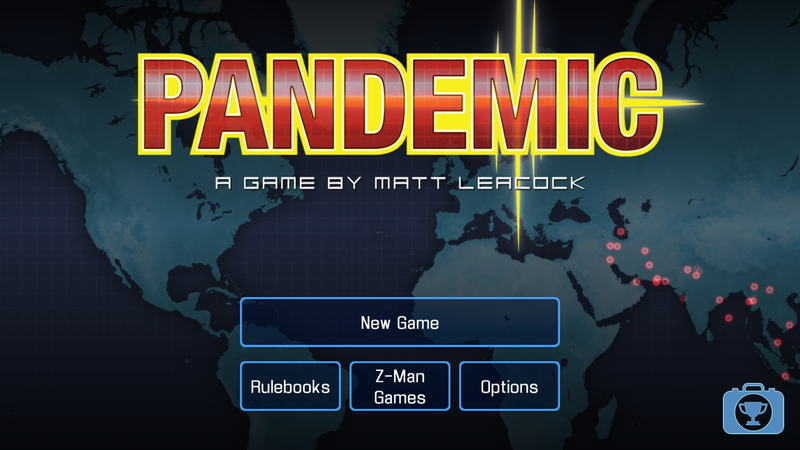 If you wanted to play on the move, there is also the Pandemic App for your mobile device of choice. I’ve been playing this for a few weeks now, and I find it to be an excellent adaption of the boardgame which you can play solo. A couple of add-ons from the ‘On The Brink’ expansion add further twists to the game, making it an enjoyable challenge and a great way of spending the odd 30 minutes or so during the day. What is it about Pandemic Legacy that makes it sufficiently different to ‘regular’ Pandemic? Are these differences sufficient enough to warrant buying the game? My son and his girlfriend (who you met at UK Games Expo) played thorough Pandemic Legacy and loved the narrative. Realistically, how many board games do you play more than 15 times anyway before moving on to the new shiny? It’s troo! I would love to see the average “ppg’s” (plays per game) on a boargamer’s collection…. It’s on my wish list. I have no problem with marring the game. A game is not an investment! It’s an enjoyable past time. Dollars per hour is the only financial metric of concern for me. It’s so easy to sell used board games on various local face book groups that games that ruin themselves by being played are just a bad move in terms of maximizing gaming enjoyment for the dollar spent. I also look to repurpose things for terrain, so I’m definitely into trash-to-treasure rather than treasure-to-trash.